Israel, like most countries, has more than one foreign intelligence service - the United States has five "pure" intelligence agencies as well as 10 services that are parts of larger organizations. In Israel, there is Aman (military intelligence) and Mossad (the civilian service, the Institute for Intelligence and Special Operations). 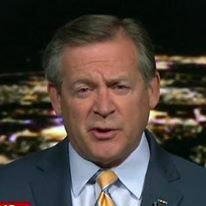 Aman would equate to a combination of the Defense Intelligence Agency and the National Security Agency, plus elements of the nascent Office of the Director of National Intelligence. Mossad is more closely analogous to the Central Intelligence Agency Directorate of Operations. Given the makeup of the Israeli intelligence community, the senior service, unlike most Western countries, is the military intelligence service, as opposed to the civilian intelligence service. It is Aman's Research Department that is responsible for preparing Israel's national intelligence assessments (similar to a U.S. National Intelligence Estimate). In recent weeks, the two Israeli services have produced conflicting assessments of current events in Syria. The chief of the Aman Research Department, the senior analytical officer in the intelligence community, assessed that Syria's Bashar Al-Asad was serious about resuming negotiations with Israel. 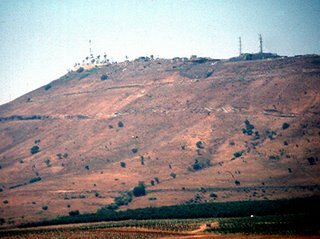 Of course, the price for any agreement with Israeli will include the return of the occupied Golan Heights, seized by Israeli forces in 1967 and administratively annexed by Israel in 1981. Although most Israeli politicians realize that if they ever want peace with Syria, they are going to have to return the land to Syria. Popular opinion in Israel, however, is overwhelmingly in favor of not returning the territory. I recently traveled through the Golan - Israel has built so much infrastructure that it will be difficult to return the area. At the same time Aman's report was being briefed to the Knesset, the director of Mossad said almost the exact opposite - despite Al-Asad's public statements, the Syrian leader was not serious about returning to the negotiating table. Mossad's director believes the statements are merely for public consumption to deflect increasing world attention to Syrian designs on Lebanon and its close ties with Iran. Israeli Prime Minister Ehud Olmert said that renewed talks with Syria would first require that Damascus stop allowing Iran to rearm and resupply Hizballah via Syrian territory, and stop support for Hamas, whose political leadership is headquartered in Damascus. So, who does Olmert listen to?